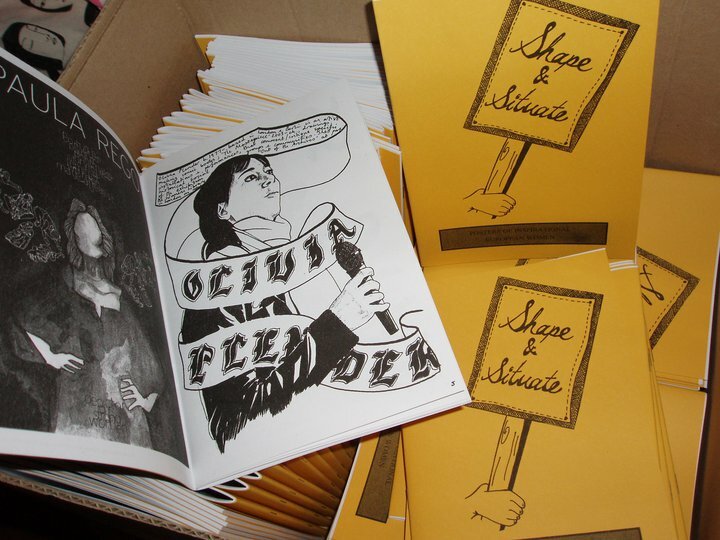 This zine is made up of of posters made by artists and DIY creatives within Europe, each poster highlighting the (often hidden) history and lives of radical inspirational women and collectives from Europe, as a way of connecting us with the past, the present and to help us to make sure that there will be a future which contains such creative and pioneering female action and activity. Contributers include: Jo Harrison, Flo Brooks, Molly Askey-Goldsbury, Sarah Francis, Stephanie Young, Erica Smith, Verity Hall, Jenny Howe, Red Chidgey, Deborah M. Withers, Siân Williams, Emily Aoibheann, Sarah Maple, Charlotte Cooper, Ralph Fox, Jay Bernard, Gladys Badhands, Isy Morgenmuffel, Rachael House, and Lauren Hutchinson. 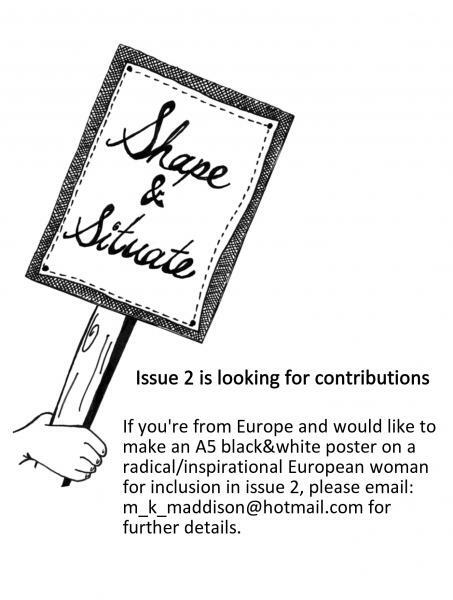 Submissions to issue 2 of the zine are now being accepted (see attached flier for more info).